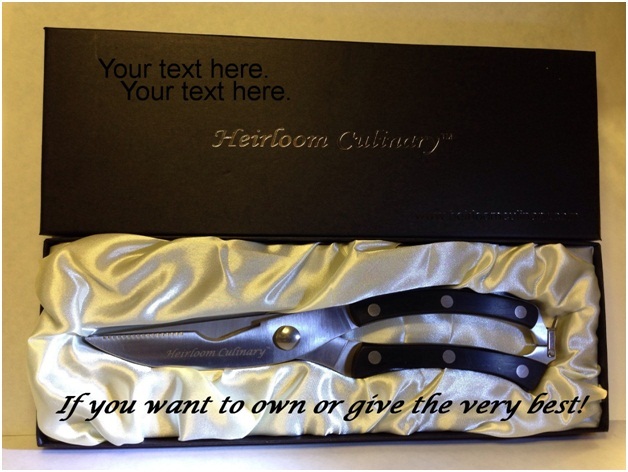 If you want to own or give the VERY BEST highly crafted stainless steel kitchen scissors that money can buy! 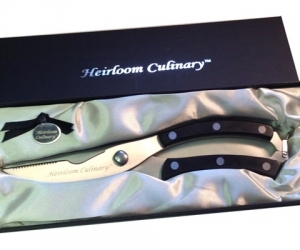 These state of the art ergonomically designed kitchen Shears have boldly broken out of the commonly used mold and way of thinking and combined toughness, elegance, beauty and efficiency into producing the finest all-purpose kitchen and poultry scissors money can buy. 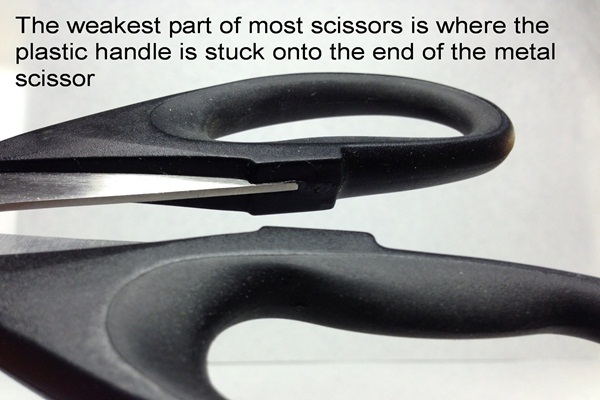 Owning or giving these finely crafted scissors reflects an appreciation of stylishness and panache. 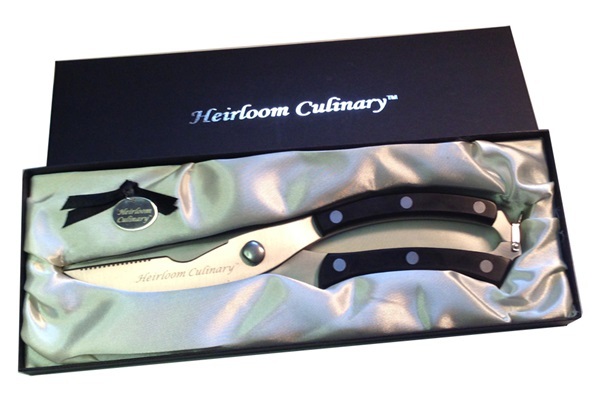 As soon as you open the elegant box they come in … the quality and strength of these heavy duty stainless steel Heirloom Culinary™ kitchen scissors will be instantly evident. Tough ... comfortable ... and UNBREAKABLE handles! 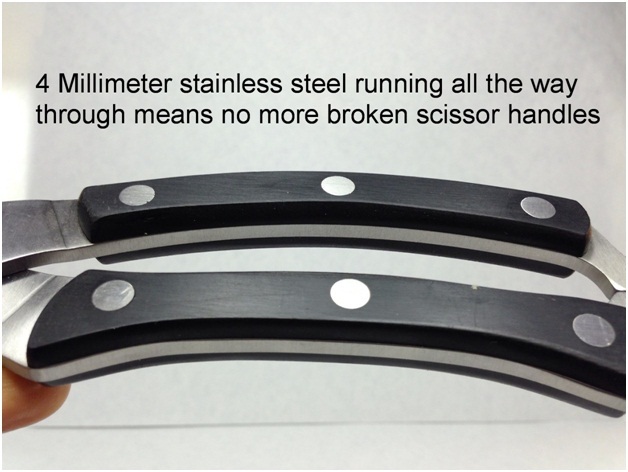 Thick heavy duty stainless steel running all the way through means no more broken handles … ever! These blades or handles will never flex or break … even when the going gets tough. 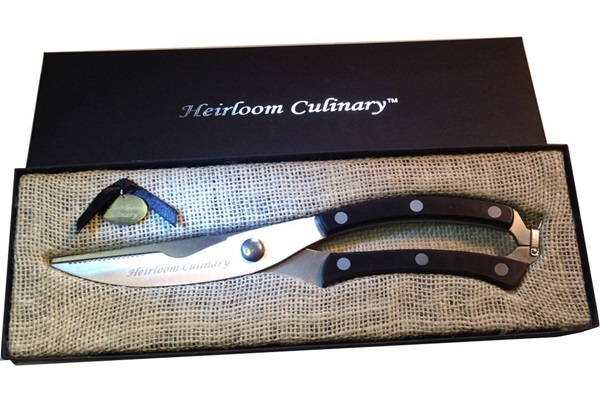 Heirloom Culinary™ eliminates flexing & breaking … by adding STRENGTH ... where others are weak! Scissors, like the ones shown on the left, with plastic handles stuck on the end of thin blades will eventually flex or break when used for the heavy duty cutting that kitchen scissors are often subjected to. 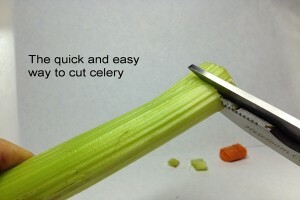 GUARANTEED not to come apart when cutting! These ultra-tough all-purpose kitchen scissors are guaranteed to never come apart when cutting … no matter how wide you open the blades! 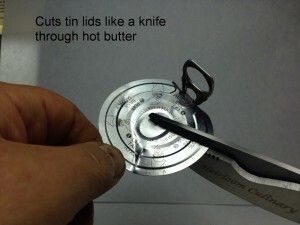 Lockable spring opening handles greatly help if you’re plagued by arthritis or anything that can make using traditionally designed scissors difficult. 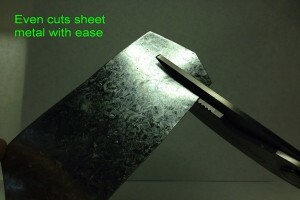 POWERFULL enough to cut tin! 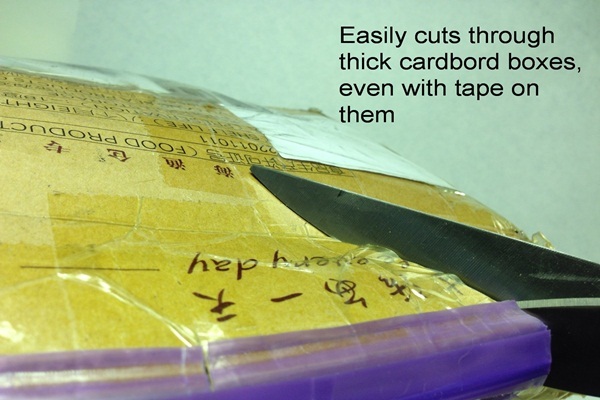 And when you start using them you’ll find these sturdy scissors are up to handling even the toughest of cutting jobs around the kitchen or yard. 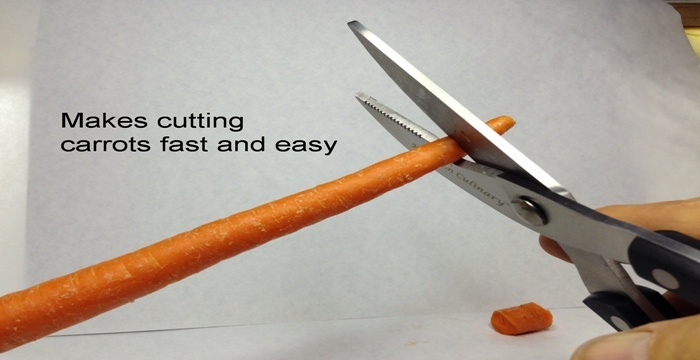 Specially designed to CUT BONES! Plus they even have a specially designed bone notch to make cutting poultry bones, or any round objects, easy and efficient. 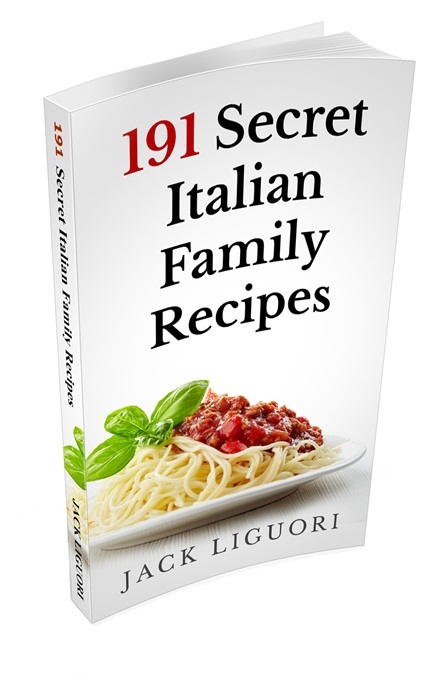 Easily butchers Poultry (& bones). End the frustration of OPENING MOLDED PACKAGING … forever! 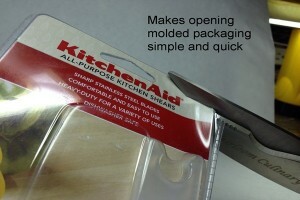 Makes OPENING ALL KINDS OF PACKAGING a breeze! 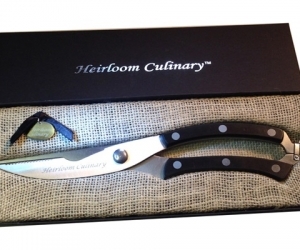 Owning or giving these beautifully engineered, designed and crafted kitchen shears reflects style and class. 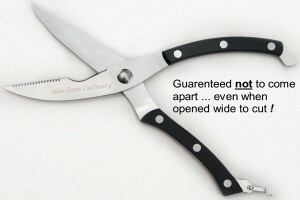 High grade stainless steel means no more rusted kitchen scissors! 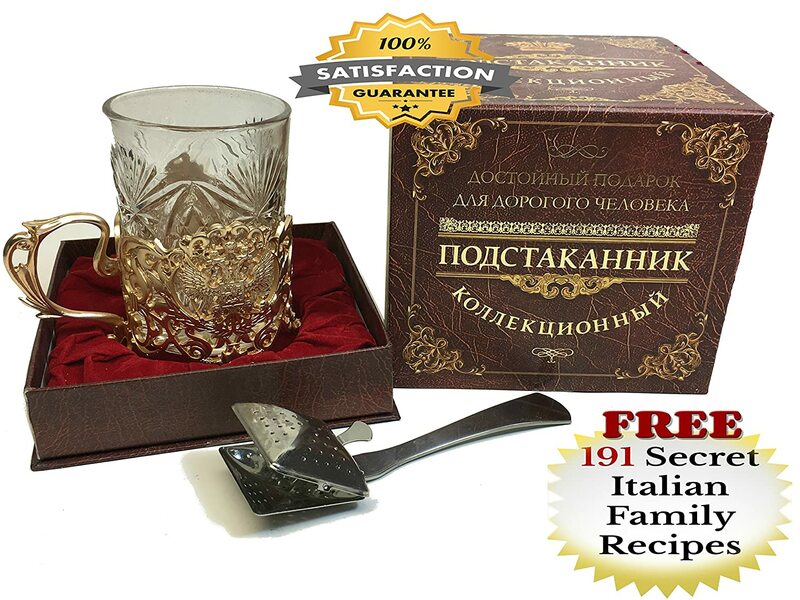 LIFETIME GUARANTEE! Remember… if you buy cheap … you get cheap! When you produce high quality scissors like these offering a “lifetime guarantee” is not a worry … so you may return them anytime, no questions asked, for a brand new replacement … forever!